Happy Monday! Another Mani Monday! 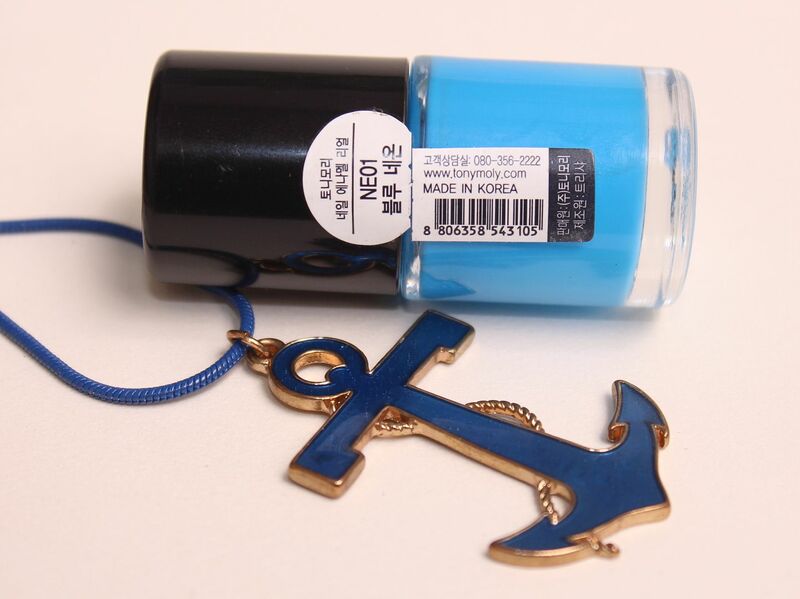 Today, I'm reviewing one of my favorite blue nail polishes, NE01 Blue Neon from Tony Moly. I used to not like Tony Moly nail polishes because their old nail polish formula wasn't really good, it was too thick and the brush wasn't any good, either. Until one day, I went inside a Tony Moly shop and saw all the nail polishes they have. I liked that the colors were vibrant and not shimmery, glittery or sparkly because I am not a fan of such polishes. I bought 10 that day (talk about being a nail polish hoarder slash impulsive buyer) so I will try my best to swatch them all before they all dry up! This is my one of my favorite blue nail polishes because it's just so vibrant and the color is so cool! So perfect for the coming Spring as it resembles the color of the clouds or Summer because it reminds us of the seas's color! I also like that it dries SO fast. It is also really pigmented! One coat is enough if you want subtle blue tone. Two coats if you want to achieve that perfect bright blue shade. I also like that it doesn't become bumpy or thick even if you apply a couple of layers. Thank goodness, Tony Moly decided to improve their nail polish's formula. I'm loving Tony Moly nail polishes now and I can't wait to show you my other nail polishes from Tony Moly!